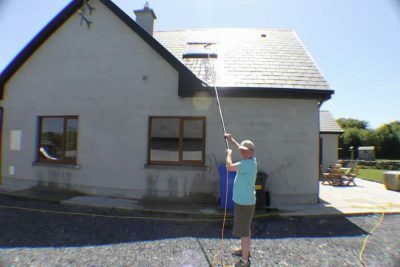 Recently I had a call from a lady who wanted regular external window cleaning including some Velux windows. 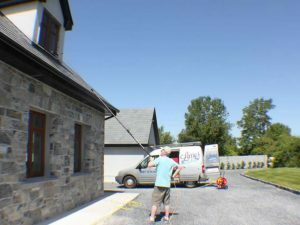 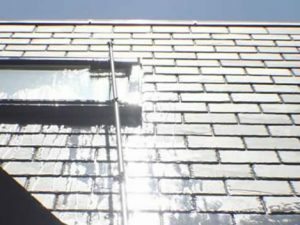 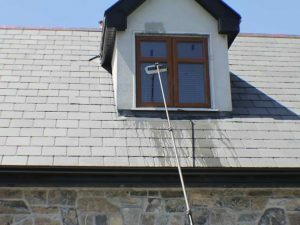 Because of the type of roof slates, she waned to be sure that no-one would attempt walking on the roof – so I was happy to reassure her that I could clean all her windows from the safety of the ground using my water fed pole system. 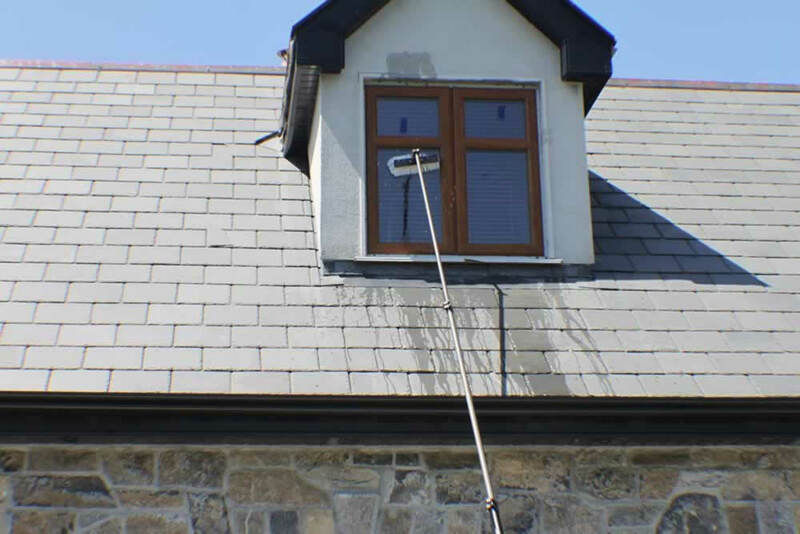 The hot water cut trough the algae & bird mess in minutes, and left the Velux windows gleaming!